We all know that a trip to the hairdressers is meant to be a positive thing! Yep, the Hairdressers may masquerade as being a good thing and we may get excited at the prospect of a new ‘do’, but like most things in life, it never turns out the way you expect it to. However (& this is a BIG however), it seems that some people on this earth would actually PREFER a horrendous, shocking, thigh-slappingly bad haircut! Why? I hear you ask? Well, why anything? & I’m sure you’ll be questioning everything anyway, after witnessing the following traumatizing collection of pictures that document some of the worst ‘hair-raising’ disasters! 1. The Mullet, but with extras…need I say more!? 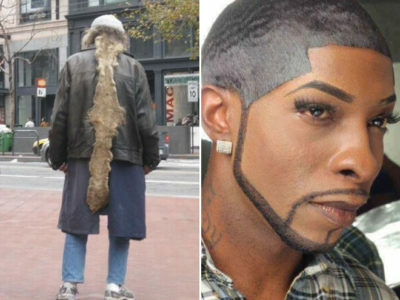 Just when you thought that the slightly odd, outcasted, psychopathic child of the haircut world couldn’t get any worse! It gets oh so much worse…. 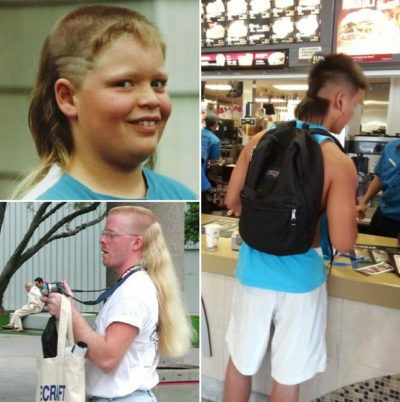 these are even an insult to the actual Mullet, they’re that bad! My eyes are totally offended, right now! 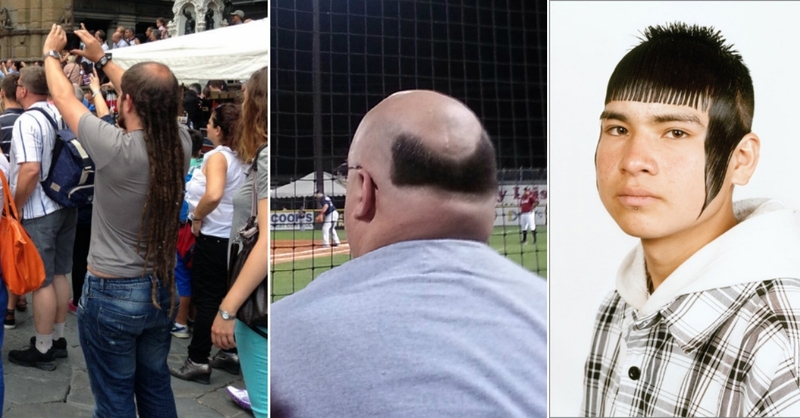 How bad does your hair have to get until it gets to the state on the left!? I think I can smell it from here! *urgh* & How big of a kn*b do you have to be, to get the one on the right!? They both should be as equally ashamed of themselves for abusing their hair like that!